In the past two months at Centennial High School, students and faculty have been very cautious with their water consumption due to lead reports released in early November by the Howard County School Board. The reports, which consisted of the results of the lead tests from several Howard County schools, show that 10 of 58 samples taken at Centennial on November 3, 2018 came back positive for levels of lead above the Action Level of 20 parts per billion (ppb). Tests were taken from all spigots that provide water for consumption; these spigots include water fountains and kitchen sinks. Other sources of water, such as showers or bathroom sinks, were not tested, as they are not intended to provide drinking water. Although these lead levels are dangerous when consumed, it is not a current issue, as all affected pipes were shut off within 24 hours of testing, according to a Centennial High School Notice released by Centennial principal, Cynthia Dillon, on November 12. Of the original samples taken, 11 came back positive, one of which was voided due to the sampled faucet not being a drinking source. Of the other ten, four contained under 25 ppb, one between 25 and 30 ppb, two between 30 and 35 ppb, and three above 35 ppb. The three above 35 ppb were from a sink in the indoor concession stand, a sink in the Family and Consumer Science classroom, and a planning area sink for teachers. Several steps need to be taken before the county even considers turning the water back on in these areas. They include evaluating the cause of the lead build up, replacing specific fixtures as necessary, or bypassing sources of lead in the plumbing. If nothing works, the impacted fixture will be permanently shut down. The Howard County School Board Office of the Environment is working to the best of its abilities to fix the problem. On December 18, Centennial High School hosted its second tri-match of the season, featuring Long Reach High School and Glenelg High School. Centennial and Glenelg took the mat first. Unfortunately, Centennial fell early in the match and finished with a final score of 17-50. Varsity player, Sam Bussink, held the attention of the crowd with his match that lasted two rounds. Charlie Schmidt managed to score the first few points for Centennial. Although their match with Glenelg was a loss, Centennial bounced back when they wrestled Long Reach. The Eagles ended the night with a winning score of 45-15. Varsity player, Chris Lee, defeated his opponent by tech fall, earning the team 5 points. Nick Shapiro also won his match, along with Matthew Harris, and state champion, Jason Kraisser. On Monday, December 17, Centennial Girls’ Varsity basketball team lost a nail biter to Reservoir by a final score of 34-33. The game began rather slow due to exceptional defensive play on both sides of the court. It was not until four minutes in, when junior Brook Anderson broke the ice and hit a heavily contested three-pointer. The rest of the first quarter was back-and-forth. The Eagles would end the first quarter with a 9-8 lead. Despite entering halftime with just a three-point lead, Centennial dominated the second quarter. Throughout the entire quarter, the Eagles struggled to get their shots to fall. Great ball movement led to open shots, but they were unable to convert. With 20 seconds left in the first half, senior Jordan Dossett hit a deep three-pointer to beat the shot clock buzzer. Immediately after, senior Ashley Molz and junior Rasa Welsh trapped Reservoir’s point guard in the corner, causing her to travel. The crowd instantly jumped to their feet and applauded the girls as they retreated back to the locker room for halftime. Centennial controlled the third quarter, allowing Reservoir to score just seven points. They capitalized on turnovers and finished out the third quarter with a 27-22 lead. The Eagles struggled defensively at the start of the fourth quarter. Reservoir scored two three pointers on back-to-back possessions. With just 1:30 left to play, Centennial took a two-point lead. On the following defensive possession, Dossett came up with an energizing block, causing Reservoir to call a timeout. Despite great defensive play from the Eagles, Reservoir found themselves with one last offensive opportunity. With five seconds left, Reservoir inbounded the ball to their starting point guard. She took one step in and pulled up from beyond the arc. She was fouled with just one tenth of a second left on the clock. She made all three free throws and Reservoir won by a score of 34-33. The Centennial girls’ basketball team will travel to Broadneck for their next game, Wednesday, December 19. Poetry Out Loud, an annual Centennial tradition, took place on December 13 during periods five and six. Students recited poems of their choice from the Poetry Out Loud official website. Poushali Banerjee, Sarah Donyaee, Sam Melicosta, Kieran Newell, Carolyn Reynolds, Masha Samokhvalova, Malika Shah, Daniyar Sheets, Selaya Smithery, Philip Wang, and Ashley Xu were featured in this year’s competition, reciting poems such as “Abandoned Farmhouse” by Ted Kooser and “Catch A Little Rhyme” by Eve Merriam. “It starts in the classroom with classroom competition. The winners from those go to the school competition. And we send one winner to the regional competition,” O’Brien stated. “I think we’ve had 3 [students] who have placed at regionals go to states. The winner of the competition was Banerjee, with Shah in second and Smithery in third. “Mrs. McDonough-Schlehr and [National English Honor Society] actually organizes the school competition, though. I just make sure we have the space and the people ready to go. Beyond the school competition, the Maryland State Arts Council organizes [Poetry Out Loud] for the state of Maryland,” O’Brien said, giving credit to those who made the event possible. Banerjee will advance to the Region Two competition on January 19, 2019. Centennial High School hosted last night’s wrestling match against the Winters Mill Falcons from Carroll County. JV came in strong with Matthew Gries who earned the team its first few points for the night, followed by Ben Shipe, who managed to defeat his opponent in less than a minute. JV ended the night with a three point lead. The final score was 39-26. “We haven’t lost once. We are the best JV in the state,” said JV wrestler Josh Kidwell. Varsity, however, was not as fortunate as JV. They faced their second defeat of the season. Even though they didn’t win, Chris Lee had the crowd standing in the bleachers with his multi-round suspenseful match. Matteo Dally managed to secure Varsity’ first couple of points. Nick Shapiro had everyone roaring with his impressive takedowns, followed by a 6-point pin from Matt Harris. The Centennial JV team is looking sharp and expected to do great this season. Varsity is hoping to improve after last night and continue through the season, now working harder than ever. On Saturday, December 1, five teams from Centennial High School participated in the National History Bowl Regional Championship, held in Washington, D.C. Of the five teams, teams A and B were Varsity, while teams C, D, and E were Junior Varsity. A total of 41 teams attended the competition, ranging from elementary school to high school. Centennial’s A Team came in second place, earning a finalist trophy and a spot in the National History Bowl Competition. This team consisted of Anthony Duan, team captain, Peter Wilschke, and Mahta Gooya. 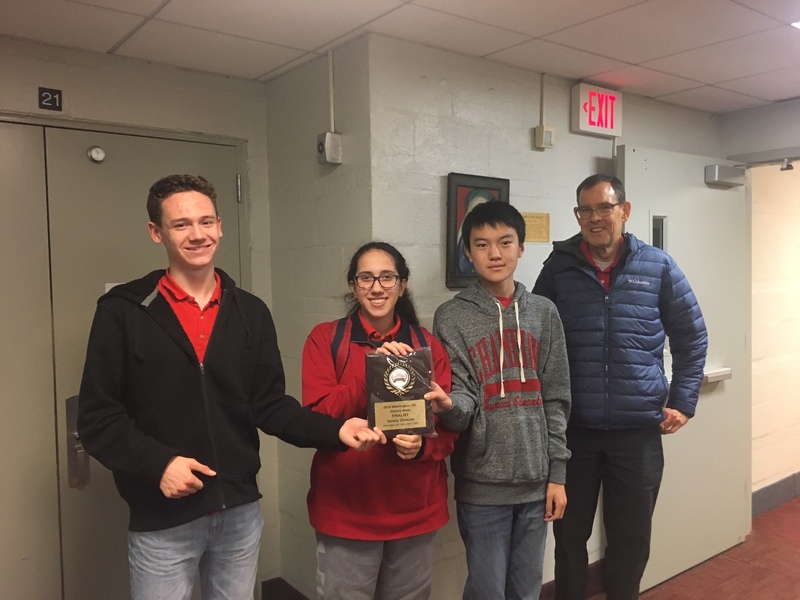 The second place slot did not come from a lack of trying, though, as the A Team placed higher than Richard Montgomery High, Montgomery Blair High, Georgetown Day School, and two teams from Thomas Jefferson High before falling to McLean High in the final match. In addition to the varsity team’s success, the C Team, made up of Pingan Tang, Nathan Ho, and Benjamin Kantsiper, also qualified for the National Tournament. Duan and Tang also advanced to the finals of the JV History Bee in 2019. Beyond the high school teams, Burleigh Manor Middle School won in the middle school division, beating Centennial Lane Elementary School in the finals. Six of the eight playoff teams were from Burleigh Manor or Centennial Lane. The National History Bowl Competition will be held in April 2019. On Monday, November 26, the Howard County Public School System held a Family Night for the parents/guardians of Centennial High School students to discuss options to reduce overcrowding. HCPSS Staff shared information on the five options Centennial students will have in upcoming school years, all of which can help to reduce the number of students during portions of the school day. The five options are: additional ARL courses, work-based options, a shuttle to Howard Community College, Project Lead the Way at Marriotts Ridge High School, and school reassignment to Glenelg or Marriotts Ridge High School with provided transportation. 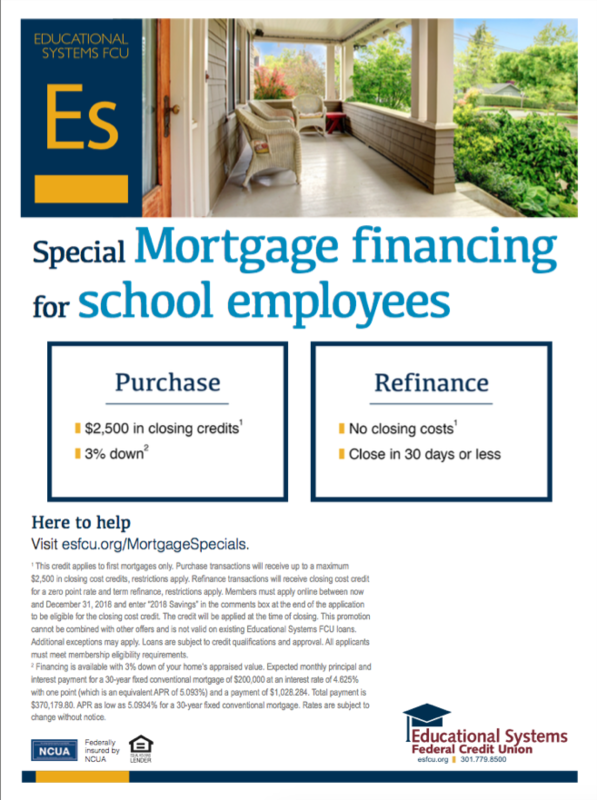 All options are completely optional and based on student interest. Due to the impact these decisions will have on community members, there was a decent-sized turn out. According to Cynthia Dillon, Centennial’s principal, around 200 parents and students showed up, which, despite the fact that the night was aimed towards Centennial parents, also consisted of parents from both Howard High School and Marriotts Ridge High School. Additionally, several people from Centennial’s student services team and Howard County’s Central Office attended. This group of people included: Bill Barnes, Chief Academic Officer, Laree Siddiqui, Dual Enrollment Coordinator, Restia Whitaker, Coordinator of Student Support Services, and Pat Saunderson, Community Superintendent. According to Dillon, the parents attending from Marriotts seemed to be curious if they would be affected by students moved to their school. Howard and Centennial parents seemed to interested in the five options. Overall, the reaction of the majority was positive and accepting of the information presented. Another Family Night will be held on December 4 at Marriotts Ridge High School.